The 2018 Underwater Photographer of the Year contest brought out photographers’ wettest and wildest talents in 11 wonderfully watery categories. This photographic panorama of British World War Two military vehicles inside a sunken vessel garnered German photographer Tobias Friedrich laurels as 2018’s Underwater Photographer of the Year. It also won him the top honor in the Wrecks category. Friedrich snapped the photograph while diving in the Mediterranean Sea off the coast of Ras Mohammed, Egypt. 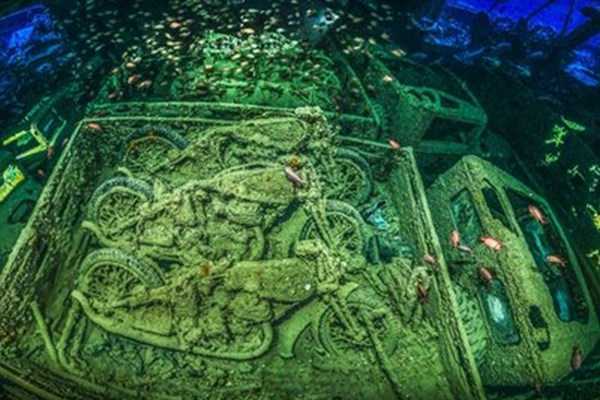 Titled “Cycle War”, the scene is centered on never-ridden (and never TO be ridden) Norton 16H motorbikes neatly packed into the hold of the SS Thistlegorm. Appropriately, perhaps, a school of soldierfish swims above the British Merchant Navy ship sunk by Luftwaffe bombers in October of 1941. 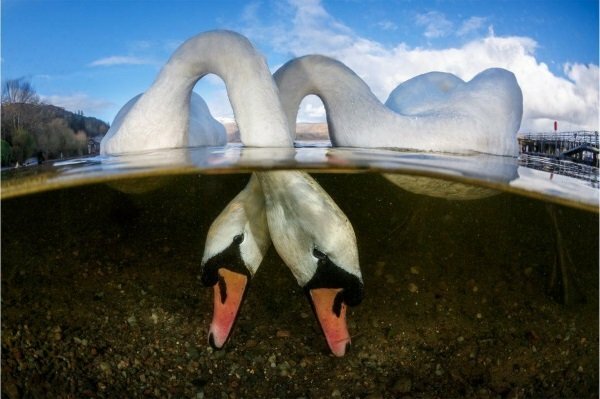 The winner of the Up & Coming Underwater Photographer of the Year category for 2018 is Abdul Rahman Jamaludin. 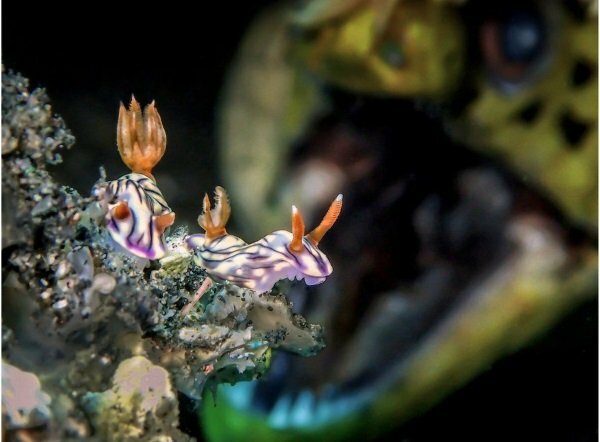 Titled “ROAR”, the photographer’s image of colorful sea slugs is delightful on its own; it just need an extra push provided by a photobombing moray eel. Indeed, photographers are said to love their work but that really IS a moray.